Manuel Murillo, owner of Hermanos Gazpachos, has a goal to share his love of gazpacho on an industrial scale without compromising flavour or taste. Working with the Food Innovation and Research Studio (FIRSt), Manuel created two new contemporary offerings for consumers to enjoy in a travel friendly bottle. 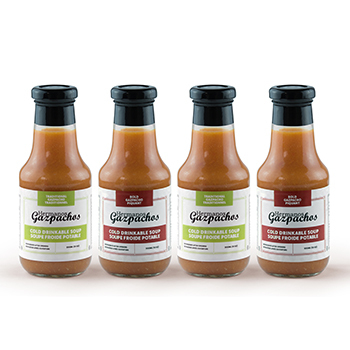 FIRSt’s multi-functional team provided key business and scientific support for the product’s development, creating a product that Hermanos Gazpachos is proud of. The project team saved Manuel precious financial resources, helped him learn along the way and developed a lasting partnership.